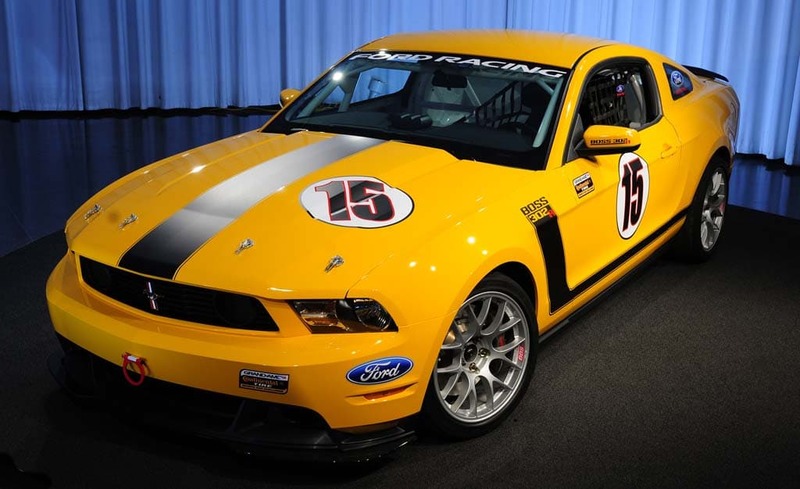 All you need is $79,000 and you can take the Ford Mustang Boss 302R racing. It also goes by the name of the Boss. The Mustang Boss 302R, to be more precise. Four decades after the original Boss Mustang, with Parnelli Jones behind the wheel, burned its way into the record books, Ford is bringing the name back, this coming year, at Daytona. But the automaker will also offer a production version, a factory-built race car ready for track days and road racing in a number of Grand-Am, SCCA and NASA classes. The 302R will share the same basic 5.0-liter V8 block and engine architecture that will be used in the upcoming, 2011 Ford Mustang GT, though with obvious performance modifications. The 32-valve powerplant will be mated to a six-speed manual transmission, and the street version of the GT will get a roll cage, race seats, safety harness, data acquisition and race dampers/springs, 14-inch Brembo brakes and a track-specific tire package. “This is a car you can walk into any Ford dealer and order,” says Jamie Allison, a racing legend of his own and the new director of motorsports for Ford. Ford’s Boss 302R will make its formal debut at the Detroit Auto Show, in January.